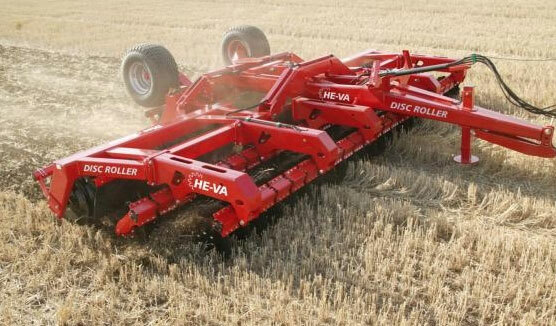 HE-VA Disc-Roller is compact and is simplicity itself to operate. 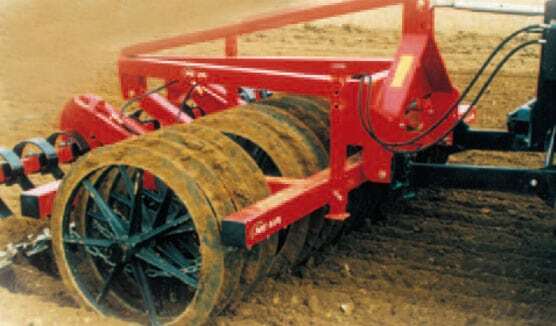 The Disc-Roller is available in working widths of 3 m, 3.5 m, 4 m and 5 m (mounted) and in working widths of 3 m to 8 m (trailed). 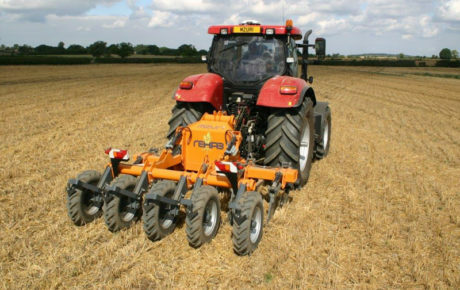 Working speeds of up to 16 km/h ensure high capacity and a perfect mixing of stubble ond other crop residues in working depts from 4-12 cm. 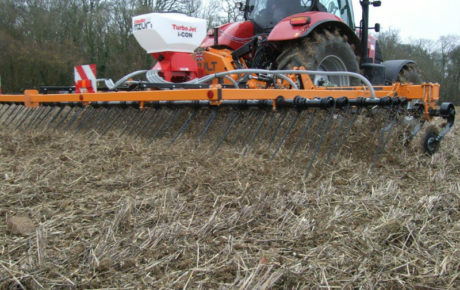 With around 1 tonne per m working width you have an effective slicing action combined with a very efficient consolidating press for secondary cultivations. 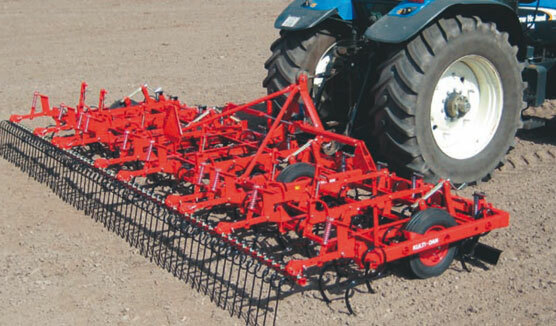 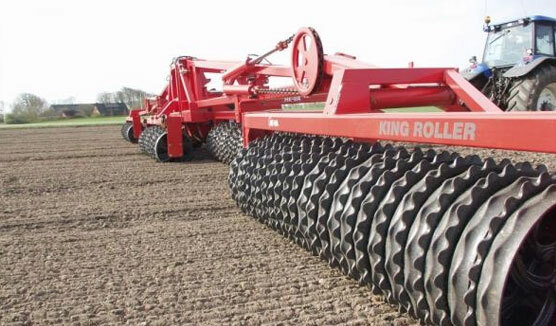 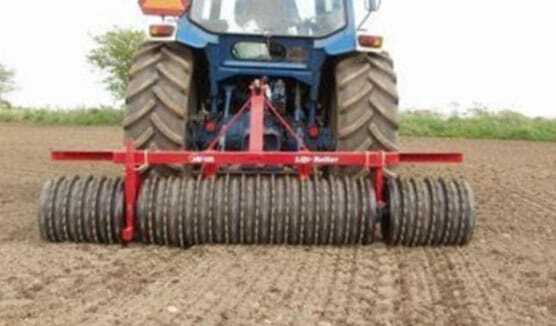 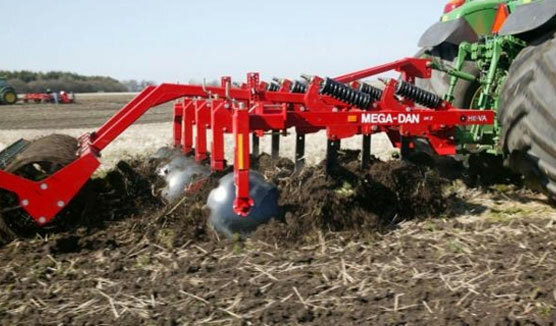 Due to this high own weight the Disc-Roller is perfect for preparation of ploughed land before sowing. 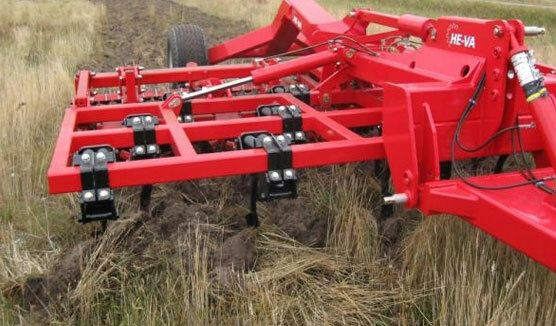 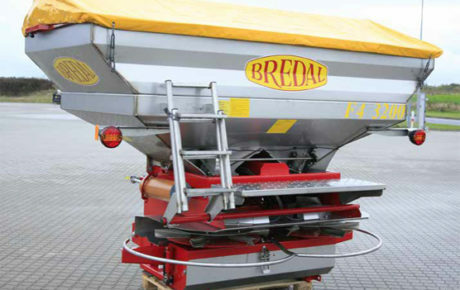 On all trailed models a Spring-Board levelling bar is available as extra equipment ensuring a good levelling effect. 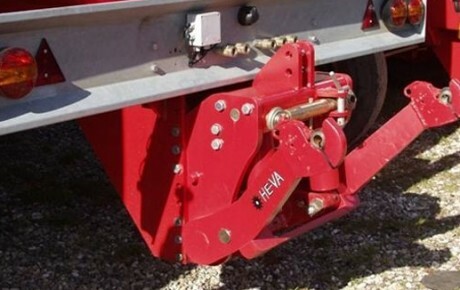 The unique HE-VA 510 mm Sabre-Disc ensures an effective cutting action and maximum movement as well as mixing of soil – even at shallow working depths. 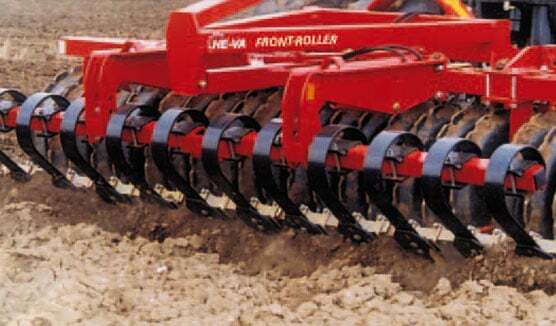 The 600 mm large V-Profile roller with high own weight ensures that the unit is perfect for stubble preparation, seed bed preparations and land packing after ploughing. 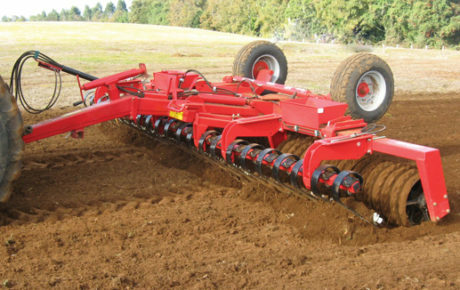 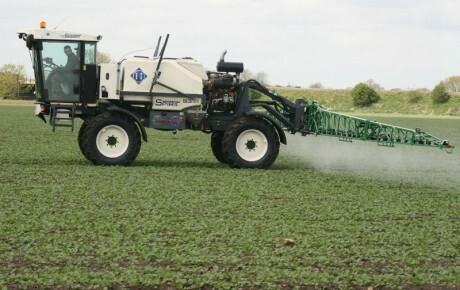 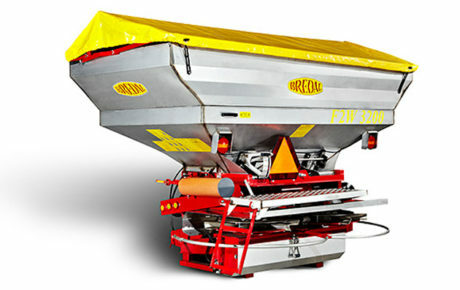 With adjustable scrapers the roller is kept clean and it can work optimally in all soil conditions. 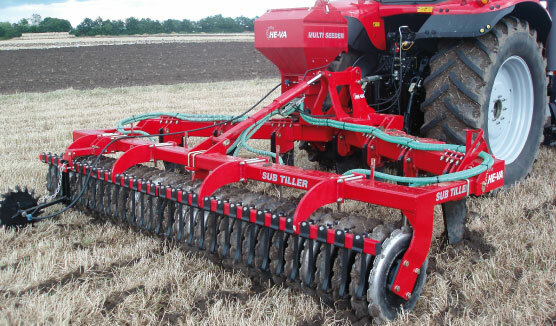 With the 600 mm T-Profile roller you have a “soil to soil” packing and good for carrying up the machines weight on light and loose soil. 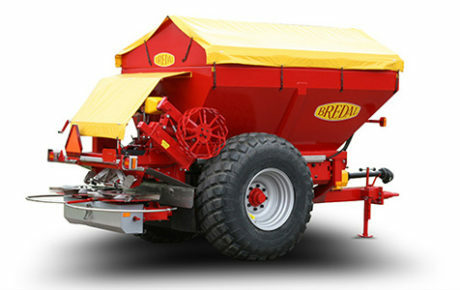 For the lift mounted models without hydr. 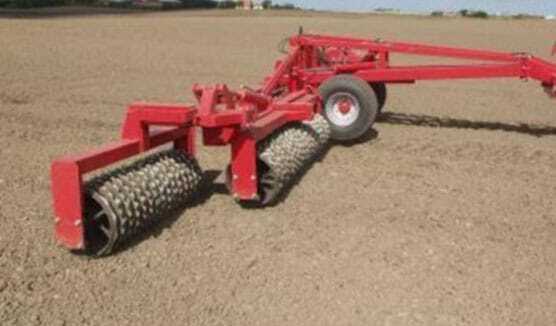 folding a 550 mm square tube roller – made of strong sectional tubes – is available. 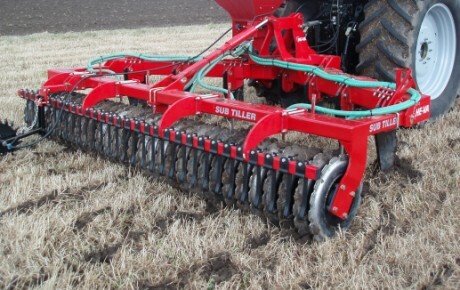 With this square tube roller, an excellent depth control is achieved on loose soil. 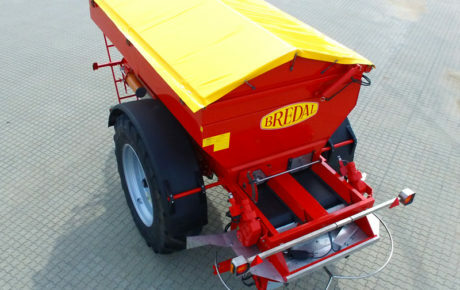 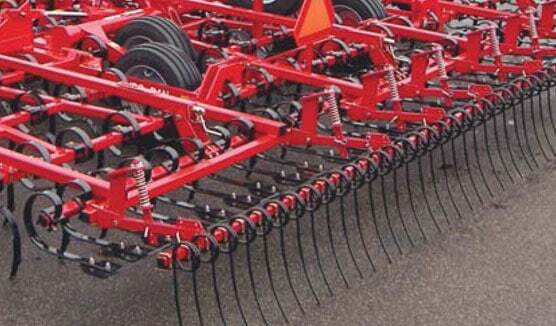 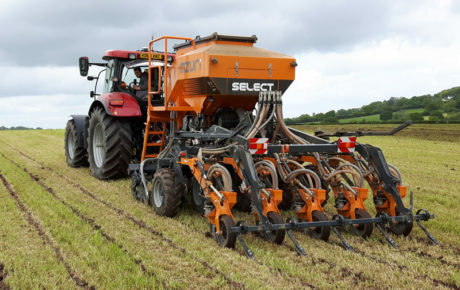 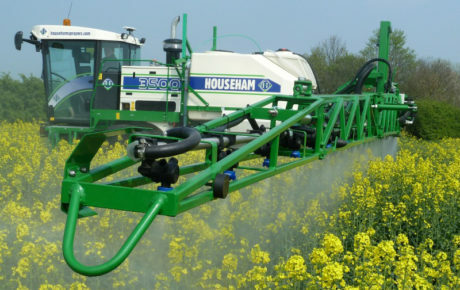 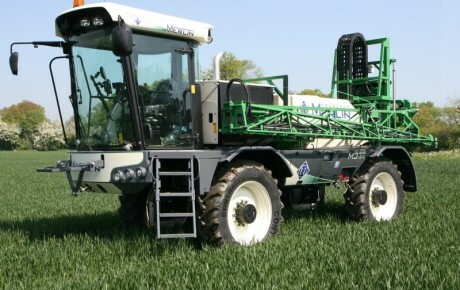 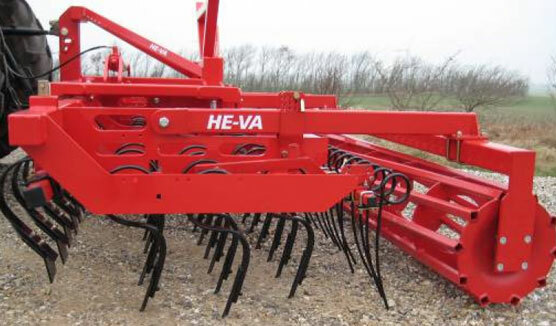 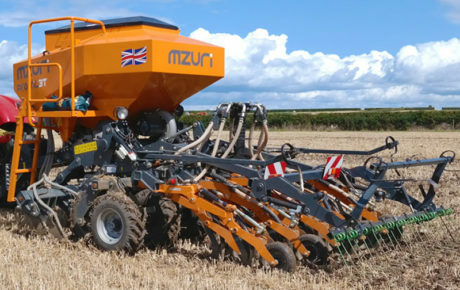 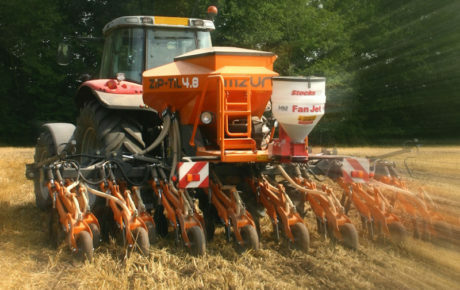 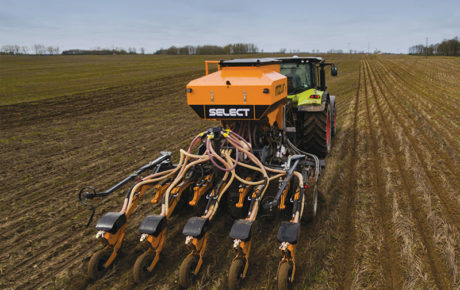 HE-VA Disc-Roller can be mounted with HE-VA Multi-Seeder giving the possibility to sow crops/ green manure or the like in connection with the stubble preparation. 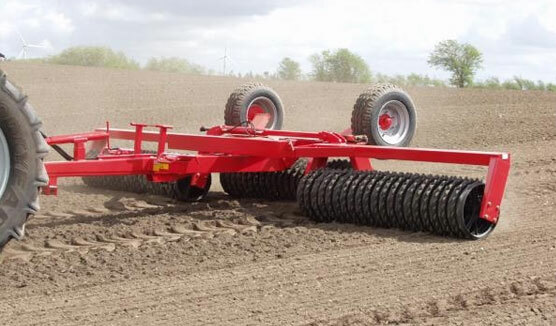 If the Disc-Roller is built together with HE-VA Combi-Tiller the soil can be loosened down to 30 cm depth while the Disc-Roller is preparing the surface. 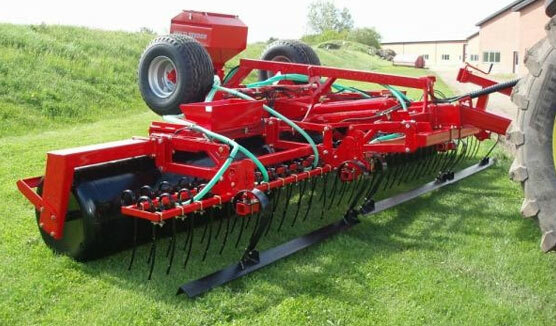 The Combi-Tiller is available for 3 m, 3.5 m, 4 m and 5 m Disc-Roller. 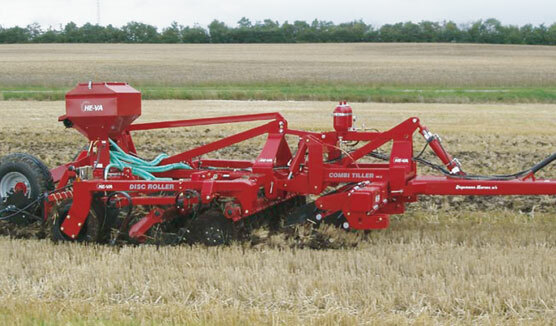 Please choose the product Combi-Tiller for more information.